Research has shown that although blue mussels easily ingest microplastic fibers, they can flush out most of it out of their bodies. Blue mussels can reject most of the microplastic fibers they ingest. To date, few studies have focused on this type of ocean pollution. However, it is important to find out how marine animals handle fibers, as this has implications for understanding how microplastics move up the food web. A new study by researchers from Bigelow Laboratory for Ocean Sciences has shown that while blue mussels readily ingest microplastic fibers, they can reject most of them by coating them with mucus and expelling them. This enabled them to efficiently rid themselves of some of the fibers without taking them fully into their bodies. 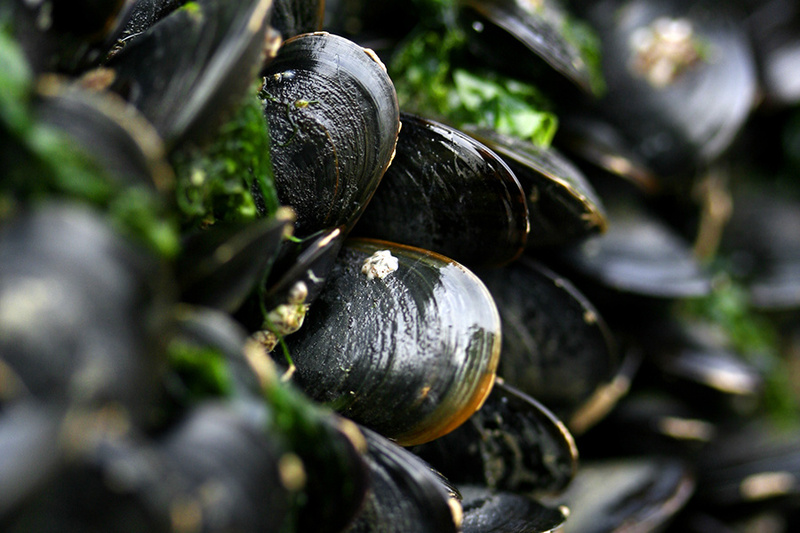 However, the mussels did ingest nearly one in 10 fibers, accumulating them in their body tissues. However, after they were moved to clean water, they were able to flush most of the accumulated fibers from their bodies. The research for this study involved placing the blue mussels into water containing fibers at levels similar to those in the ocean. The researchers then used a FlowCam, an optical instrument originally developed at Bigelow Laboratory, to enumerate the particles. "Because the ocean is so vast, microplastics aren't actually that concentrated," said Bigelow Laboratory Senior Research Scientist Paty Matrai, one of the study's authors. "But no one knows the full impact they have. The bottom line is, we need data to help us make informed decisions." The findings were published in the December issue of Marine Pollution Bulletin.